The Irish Red Cross was setup under legislation in 1939 and continues to be governed under various pieces of legislation since that original 1939 Red Cross Act. 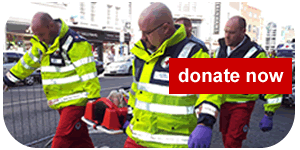 The Irish Red Cross is governed by a General Assembly, on which the Limerick Area has three representatives. The General Assembly elects a Board of Directors, and you can find out the current Board members by visiting our national website here. On our national Irish Red Cross website, you will find copies of our constitution, operating rules, and strategy. In addition, you can find out more about our national policies and view our annual reports. In Limerick, each of our Branches elects a committee annually and these volunteers manage the Branch. Each Branch nominates representatives to the Limerick Area Committee which has overall management responsibility for activities across Limerick City and County.